Shark Diver : Shark Diving : Swimming With Sharks: Bigger than Deep Blue. The biggest shark at Guadalupe Island! Bigger than Deep Blue. 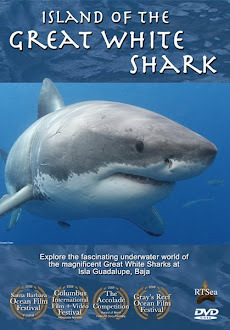 The biggest shark at Guadalupe Island! We just returned from our first expedition to Guadalupe Island this year. I'm happy to report that the big boys are back. Bruce, Jacques, Bite Face and Thor all made it back safely to the island. As big as those sharks are, they were dwarfed by the biggest shark to ever swim by a cage at Guadalupe. On our second day of diving, we encountered the largest fish on earth, a whale shark, swimming alongside a great white shark. I have seen whale sharks before, but this is the first time I saw one swimming with a great white shark. You never know, what you are going to see on the ocean. Aside from great whites and the whale shark, we also got a visit from 6 bottle nose dolphins and a couple of green sea turtles. It's not only the big boys that are back. We also saw the slightly smaller Hooper, Mau, Horizon, Ace, Micks, Mike, Drogin, Legend, Paul Walker, Seamus, Don Julian, Big and Ian along with the females Sydney and Amiria. Like last year, we also encountered some new sharks. We definitely have another small female and male shark. We only have a few spaces available for this season. 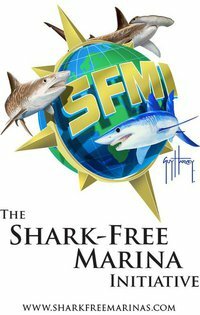 Call us at 619.887.4275 or email staff@sharkdiver.com to reserve your space.